Save your search - find out immediately when "North Shore Coast" is available at auction! Haiti, South Coast and Venezuela, North Coast. 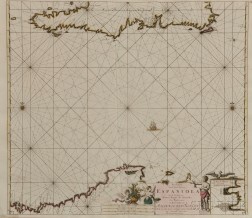 Johannes van Keulen (1654-1715) Pas-kaart van de Zuyd Kust van Espaniola.